Foreign Minister Mevlut Cavusoglu is quoted by local media as saying the joint cross-border operation with Iraq may start after it holds parliamentary elections scheduled for May 2018. 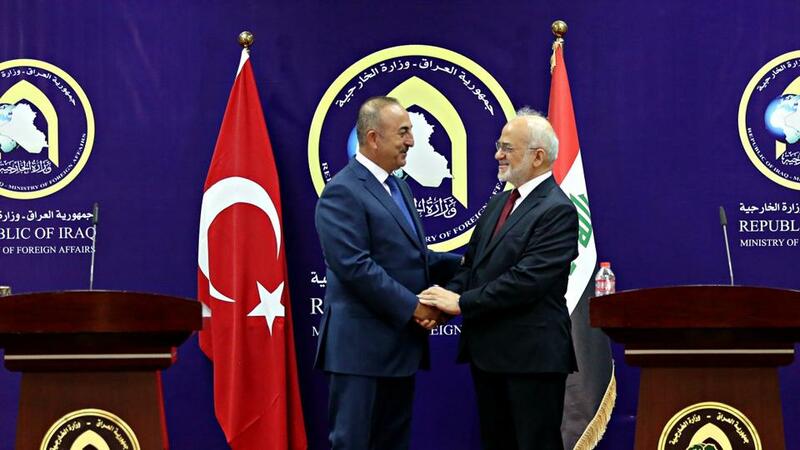 Turkey and Iraq could conduct a joint military operation against the PKK terror group in Iraq, Turkish Foreign Minister Mevlut Cavusoglu was quoted as saying on Thursday. Speaking to reporters on his flight from Germany to Austria, Cavusoglu said that the operation could start after Iraq holds its elections on May 12. Turkey frequently conducts cross-border operations into northern Iraq in pursuit of PKK militants, who maintain bases there. The PKK is responsible for over 40,000 deaths, and has carried out a violent campaign against Turkey for more than 30 years. It has been listed as a terrorist organisation by Turkey, the US and the European Union. Cavusoglu’s comments came as Turkey pushed ahead with a cross-border military operation, launched on January 20 against the PKK-linked YPG terror group in northern Syria’s Afrin region. TRT World ‘s Defence Analyst Oubai Shahbandar says Ankara and Baghdad are planning to hit PKK in the heart of its base. Cavusoglu was also quoted as saying Operation Olive Branch would be completed by May. The Turkish military and Free Syrian Army have cleared a key town centre, Jinderis, in Afrin region from the YPG on Thursday. Around 157 locations, including five town centres, 122 villages, 30 strategic areas, and one YPG base have been cleared so far. President Recep Tayyip Erdogan also said a total of 3,089 terrorists have been “neutralised” since the start of the operation. Turkish authorities often use the word “neutralised” in their statements to imply the terrorists in question either surrendered or were killed or captured.